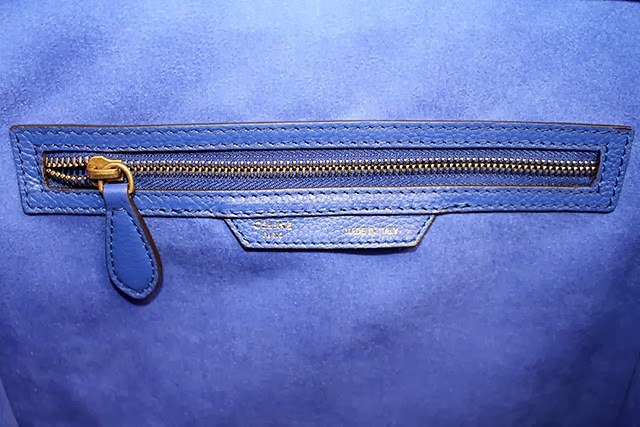 I am the proud new owner of a gorgeous indigo blue Celine bag!! This purse has been on my "keep wishing list" for quite some time now. To my surprise and excitement my amazing husband gave me a card with an "IOU one Celine bag" for Christmas this year! He told me that all the local stores were sold out of the mini luggage and phantom bags so that I would have to wait and do some hunting for the exact Celine bag that I wanted. 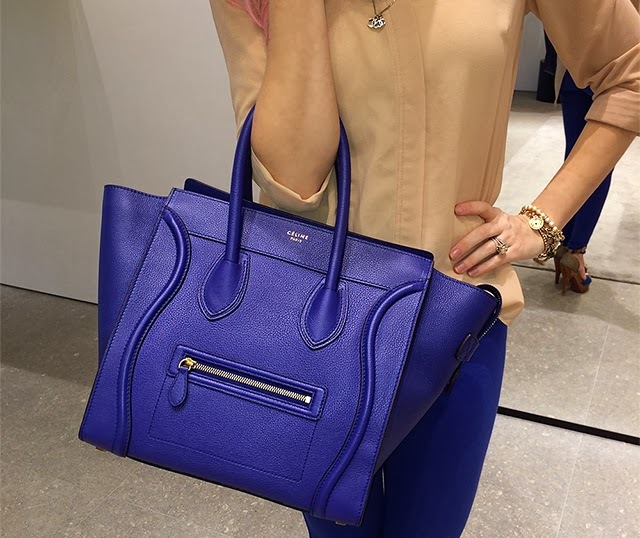 I called around and found some stores that had one or two Celine Phantom bags but the color options were horrible. Besides, I had my heart set on a Mini Luggage Bag anyways! So, I very impatiently waited. Celine only has three actual stores in the United States. Some of the big department stores such as Neiman Marcus, Nordstom and Barneys carry Celine but while calling around I found the staff to be rude and the selection to be very slim. Lucky for me, there is a Celine store located on Rodeo Drive in Beverly Hills which is not too far from my house. I must have called this location ten times between Christmas and New Years Eve. They were waiting on a shipment but had no idea what bags they were getting in or when exactly they were arriving. 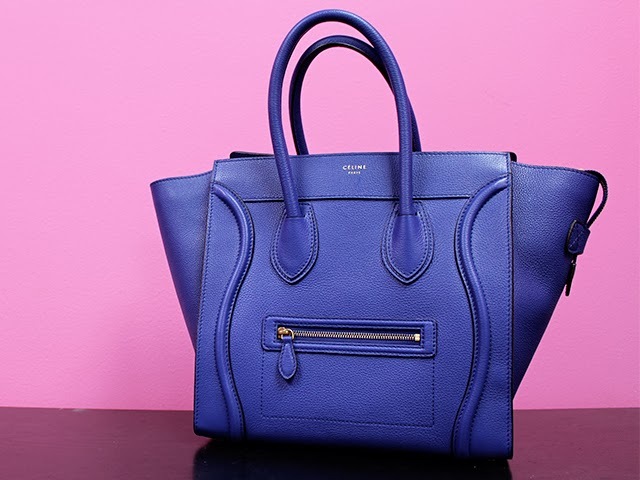 When Celine Beverly Hills finally received their shipment they just happened to have the exact bag that I wanted! I thought, "This must be a dream," as I raced down there to pick up my new baby! Honestly, I was a little nervous about the indigo blue. I had always drooled over the cobalt blue but that color was no longer in production. All my worries vanished the moment I saw my Indigo Blue Mini Luggage Bag in person. The blue was vibrant and seriously gorgeous. It was literally love at first sight. 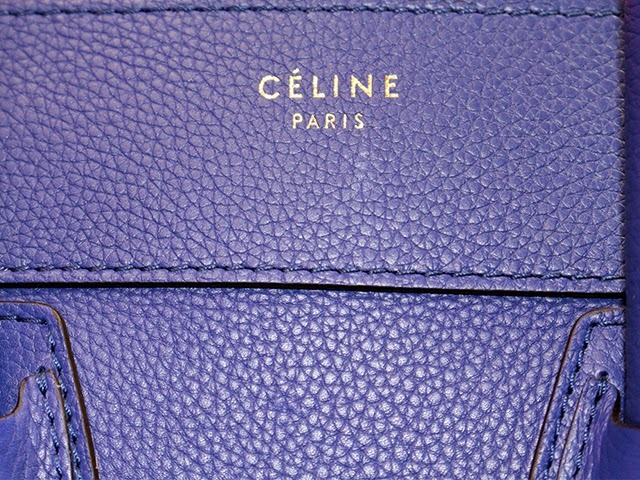 Here are some pictures of my Celine Mini Luggage Bag in Indigo Blue so that you can see all the exquisite detail and beauty close up. I love the structure and versatility of this bag. You can easily dress this bag up or wear it with jeans and a t-shirt. I love that! It is the perfect everyday bag. 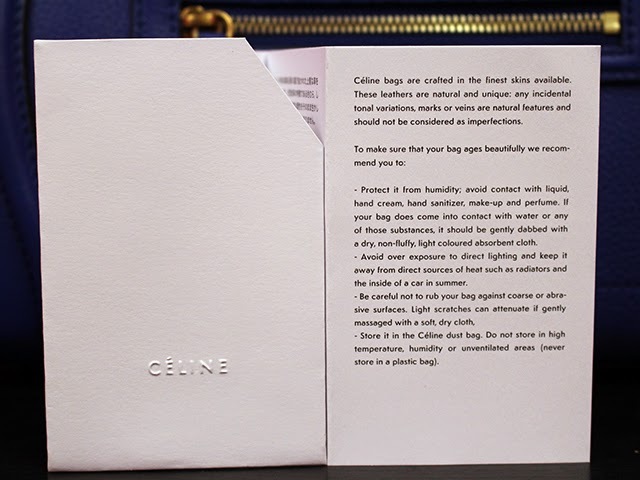 This is the back of my Celine bag. The tab on the back has long been a mystery to many but it is said to be a tribute to the original mini luggage bag which featured a very similar tab. After becoming creative director for Celine, Phoebe Philo revamped and modernized the original mini luggage bringing us this simplistic chic handbag that has quickly soared to the top of every fashionista's wishlist! The bottom of my Celine Mini Luggage Tote Bag features four bronze square shaped feet. 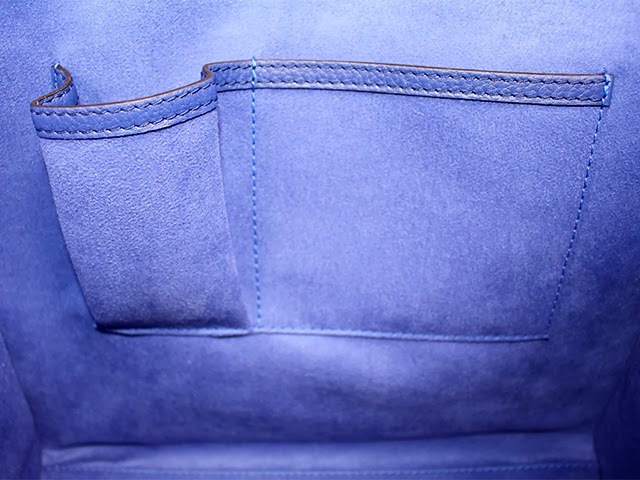 The interior of my Celine Mini Luggage Bag features a super soft micro suede lining with leather trim. The interior of my bag is the same color as the exterior of my bag. 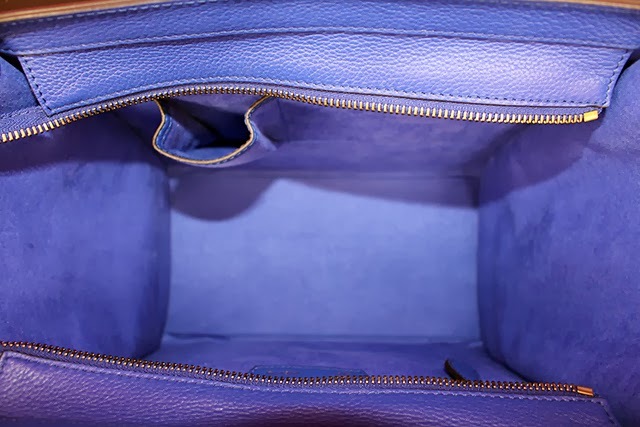 Inside you will find a very large central compartment with a zippered pocket on one side and two open pockets on the opposite side. 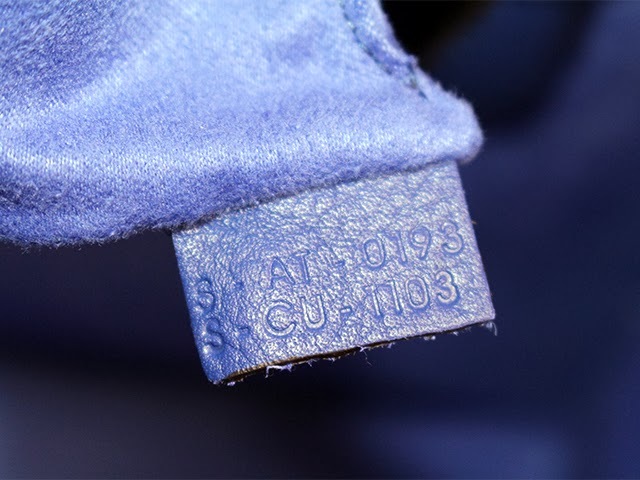 Inside the interior zippered pocket is a small leather tab with serial numbers imprinted on it. 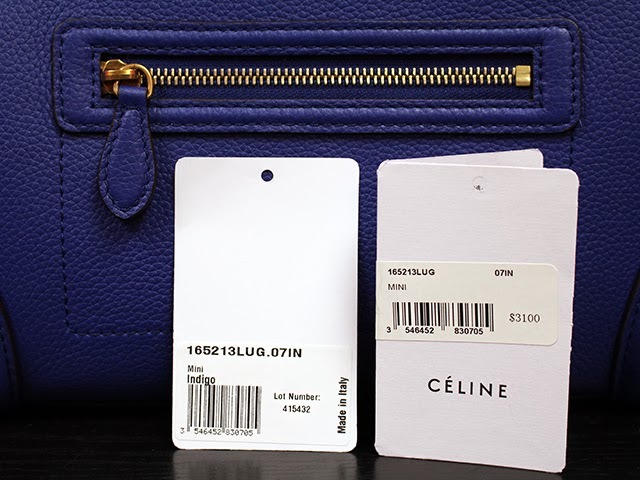 Also, this is where I found all the Celine tags and papers that came with my purse. 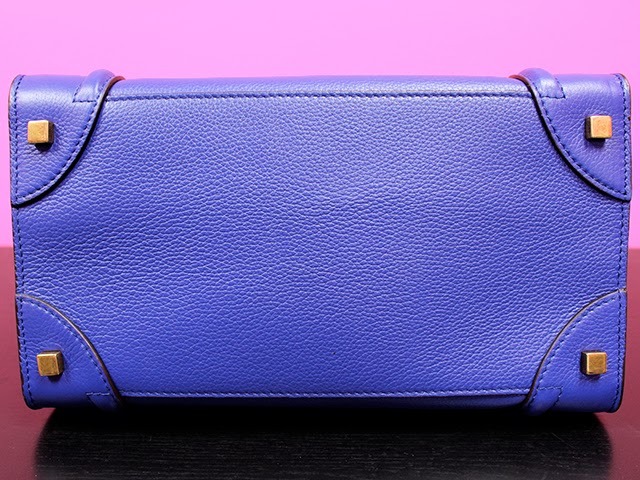 Thank you so much for checking out my blog post about my new purse! I just couldn't wait to share. 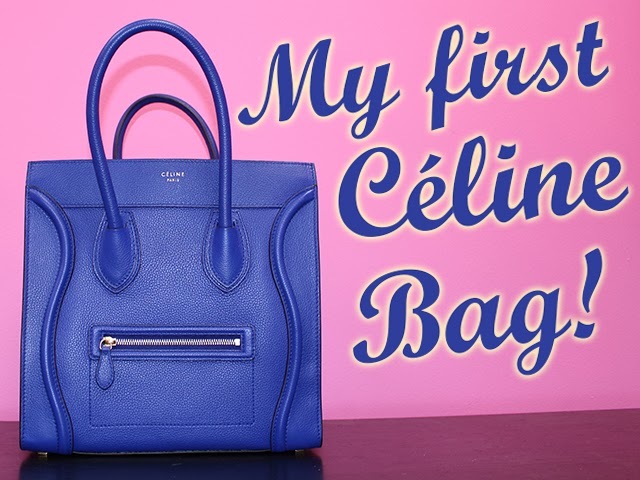 I have also made a video for my YouTube channel if you would like to see more of my Celine bag.